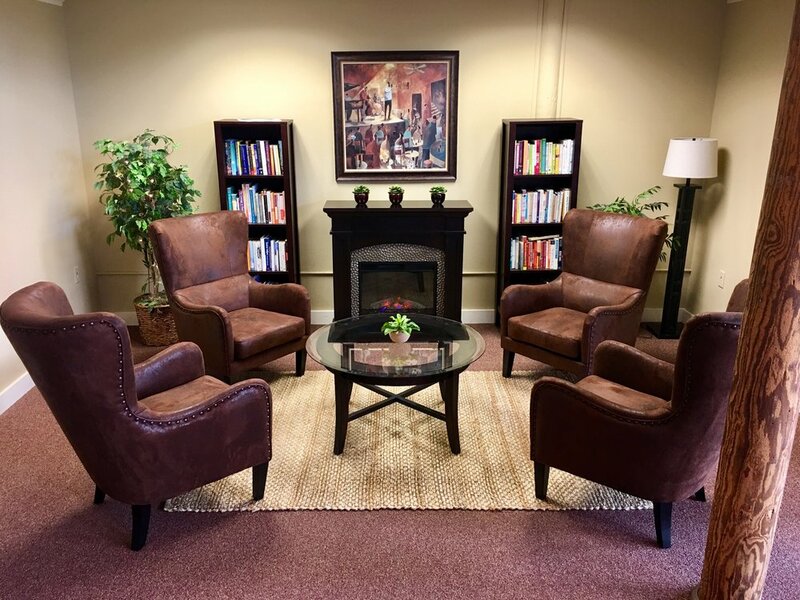 Our office lobby provides a comfortable place to enjoy a cup of tea and read or use our wifi. Our self-help library offers another relaxing place to sit fireside and scan our collection of books that can be checked out for free. Our offices are designed with an emphasis on comfort and the awareness that our environment has an impact on our sense of well-being. Our office overlooks the Androscoggin River from the renovated Fort Andross Mill at the end of Maine Street in Brunswick. We are conveniently located within walking distance from Bowdoin College and Maine Street. In our unique large open studio space, we offer trainings and workshops, providing programs to reduce stress, cope with anxiety and depression and improve relationships. Prospective or current clients are welcome to walk in to schedule or visit our library Monday through Friday between 9am to 5pm. 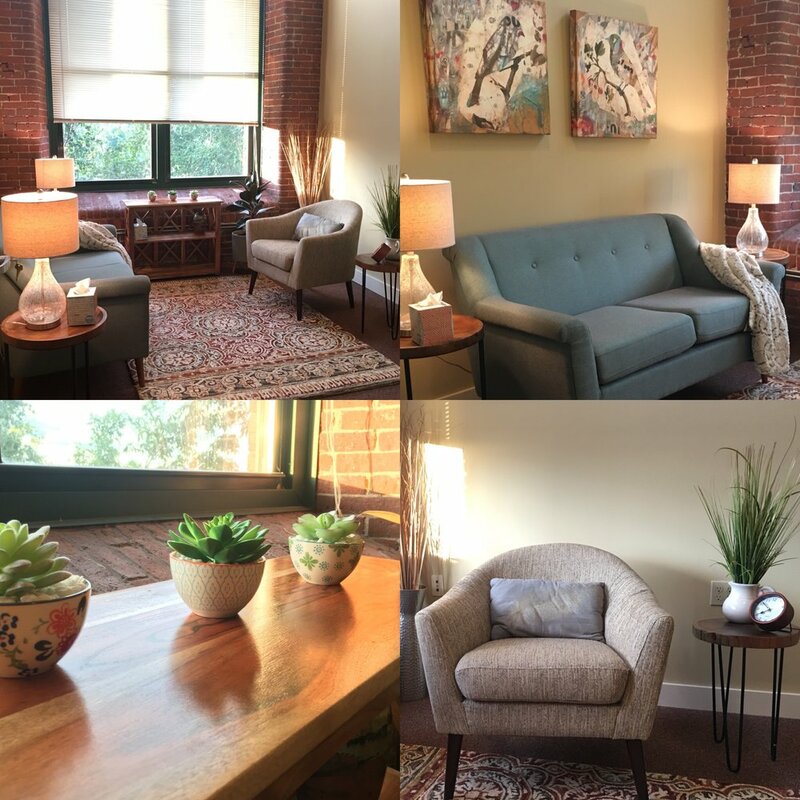 Our five therapy offices are designed for comfort, with high ceilings, soothing colors, comfortable furniture, and views of the Androscoggin River.